Refining petroleum is the process of converting crude oil or bitumen into more useful products, such as fuel or asphalt. Crude oil comes out of the ground with impurities, from sulfur to sand. These components have to be separated. 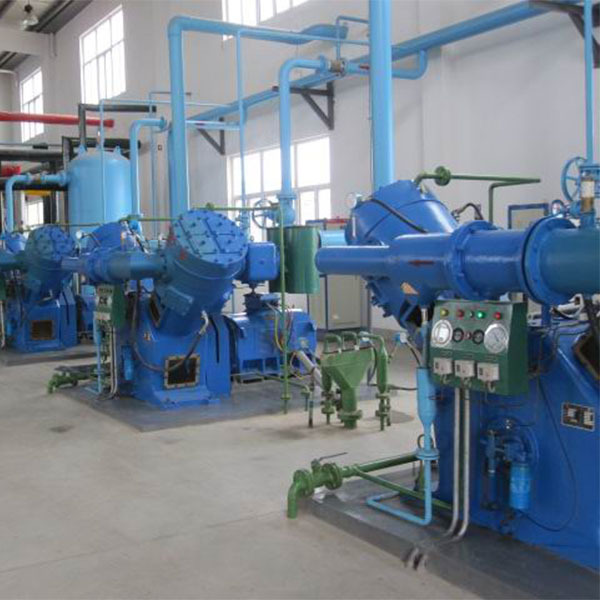 This is done by heating the crude oil in a distillation tower that has trays and temperatures set at different levels. 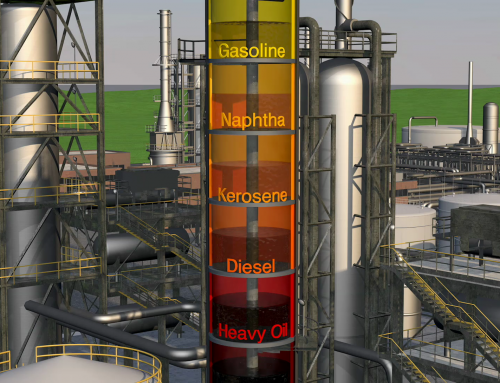 Oil’s hydrocarbons and metals have different boiling temperatures, and when the oil is heated, vapors from the different elements rise to different levels of the tower before condensing back into a liquid on the tiered trays. Propane, kerosene, and other components condense on different tiers of the tower, and can be individually collected. They are transported by pipeline, ocean vessels, and trucks to different locations, to either be used directly or further processed. Oil was not always extracted, refined, and used by millions of people as it is today. However, it has always been an important part of many cultures. The earliest known oil wells were drilled in China as early as 350 CE. The wells were drilled almost 244 meters (800 feet) deep using strong bamboo bits. The oil was extracted and transported through bamboo pipelines. It was burned as a heating fuel and industrial component. 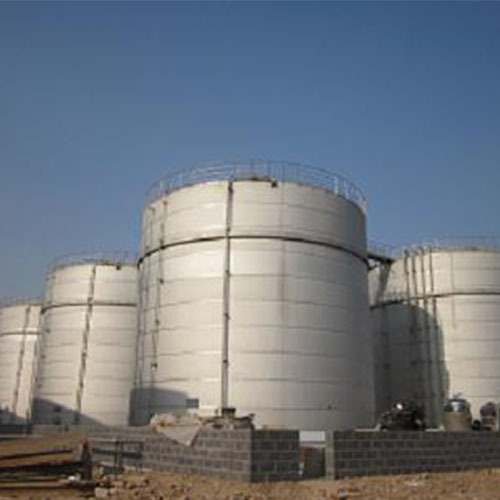 Chinese engineers burned petroleum to evaporate brine and produce salt. On the west coast of North America, indigenous people used bitumen as an adhesive to make canoes and baskets water-tight, and as a binder for creating ceremonial decorations and tools. 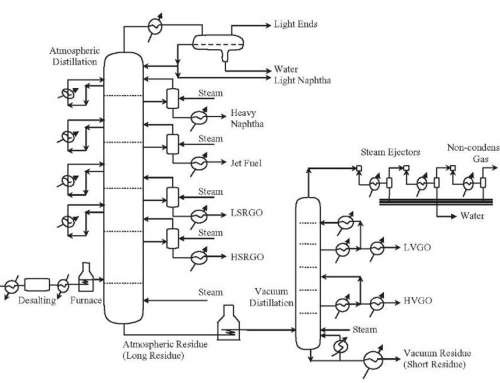 By the 7th century, Japanese engineers discovered that petroleum could be burned for light. Oil was later distilled into kerosene by a Persian alchemist in the 9th century. During the 1800s, petroleum slowly replaced whale oil in kerosene lamps, producing a radical decline in whale-hunting. The modern oil industry was established in the 1850s. The first well was drilled in Poland in 1853, and the technology spread to other countries and was improved. The Industrial Revolution created a vast new opportunity for the use of petroleum. Machinery powered by steam engines quickly became too slow, small-scale, and expensive. Petroleum-based fuel was in demand. The invention of the mass-produced automobile in the early 20th century further increased demand for petroleum. Petroleum production has rapidly increased. In 1859, the U.S. produced 2,000 barrels of oil. By 1906, that number was 126 million barrels per year. Today, the U.S. produces about 6.8 billion barrels of oil every year. 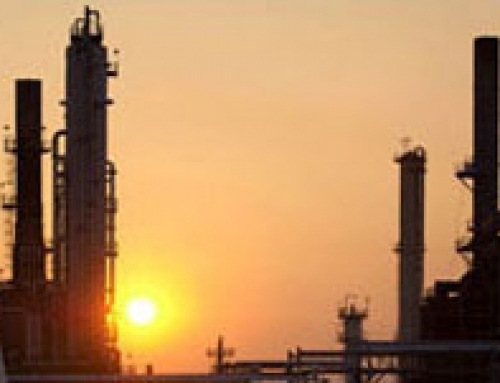 According to OPEC, more than 70 million barrels are produced worldwide every day. That is almost 49,000 barrels per minute. Although that seems like an impossibly high amount, the uses for petroleum have expanded to almost every area of life. Petroleum makes our lives easy in many ways. In many countries, including the U.S., the oil industry provides millions jobs, from surveyors and platform workers to geologists and engineers. The United States consumes more oil than any other country. In 2011, the U.S. consumed more than 19 million barrels of oil every day. This is more than all of the oil consumed in Latin America (8.5 million) and Eastern Europe and Eurasia (5.5 million) combined. Petroleum is an ingredient in thousands of everyday items. The gasoline that we depend on for transportation to school, work, or vacation comes from crude oil. A barrel of petroleum produces about 72 liters (19 gallons) of gasoline, and is used by people all over the world to power cars, boats, jets, and scooters. Petroleum is also used in liquid products such as nail polish, rubbing alcohol, and ammonia. Petroleum is found in recreational items as diverse as surfboards, footballs and basketballs, bicycle tires, golf bags, tents, cameras, and fishing lures. Petroleum is also contained in more essential items such as artificial limbs, water pipes, and vitamin capsules. In our homes, we are surrounded by and depend on products that contain petroleum. House paint, trash bags, roofing, shoes, telephones, hair curlers, and even crayons contain refined petroleum. There are major disadvantages to extracting fossil fuels, and extracting petroleum is a controversial industry. Carbon, an essential element on Earth, makes up about 85% of the hydrocarbons in petroleum. Carbon constantly cycles between the water, land, and atmosphere. Carbon is absorbed by plants and is part of every living organism as it moves through the food web. Carbon is naturally released through volcanoes, soil erosion, and evaporation. When carbon is released into the atmosphere, it absorbs and retains heat, regulating Earth’s temperature and making our planet habitable. Not all of the carbon on Earth is involved in the carbon cycle above ground. Vast quantities of it are sequestered, or stored, underground, in the form of fossil fuels and in the soil. This sequestered carbon is necessary because it keeps the Earth’s “carbon budget” balanced. However, that budget is falling out of balance. Since the Industrial Revolution, fossil fuels have been aggressively extracted and burned for energy or fuel. This releases the carbon that has been sequestered underground, and upsets the carbon budget. This affects the quality of our air, water, and overall climate. The taiga, for example, sequesters vast amounts of carbon in its trees and below the forest floor. Drilling for natural resources not only releases the carbon stored in the fossil fuels, but also the carbon stored in the forest itself. Combusting gasoline, which is made from petroleum, is particularly harmful to the environment. Every 3.8 liters (1 gallon) of ethanol-free gas that is combusted in a car’s engine releases about 9 kilograms (20 pounds) of carbon dioxide into the environment. (Gasoline infused with 10% ethanol releases about 8 kilograms (17 pounds.)) Diesel fuel releases about 10 kilograms (22 pounds) of carbon dioxide, while biodiesel (diesel with 10% biofuel) emits about 9 kilograms (20 pounds). Gasoline and diesel also directly pollute the atmosphere. They emit toxic compounds and particulates, including formaldehyde and benzene. Oil is a major component of modern civilization. In developing countries, access to affordable energy can empower citizens and lead to higher quality of life. 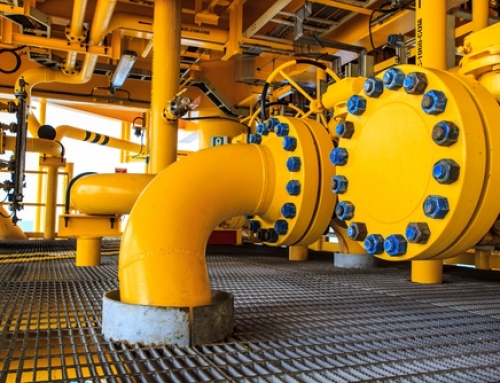 Petroleum provides transportation fuel, is a part of many chemicals and medicines, and is used to make crucial items such as heart valves, contact lenses, and bandages. Oil reserves attract outside investment and are important for improving countries’ overall economy. However, a developing country’s access to oil can also affect the power relationship between a government and its people. In some countries, having access to oil can lead government to be less democratic—a situation nicknamed a “petro-dictatorship.” Russia, Nigeria, and Iran have all been accused of having petro-authoritarian regimes. Oil is a non-renewable resource, and the world’s oil reserves will not always be enough to provide for the world’s demand for petroleum. Peak oil is the point when the oil industry is extracting the maximum possible amount of petroleum. After peak oil, petroleum production will only decrease. After peak oil, there will be a decline in production and a rise in costs for the remaining supply. Measuring peak oil uses the reserves-to-production ratio (RPR). This ratio compares the amount of proven oil reserves to the current extraction rate. The reserves-to-production ratio is expressed in years. The RPR is different for every oil rig and every oil-producing area. Oil-producing regions that are also major consumers of oil have a lower RPR than oil producers with low levels of consumption. According to one industry report, the United States has an RPR of about nine years. The oil-rich, developing nation of Iran, which has a much lower consumption rate, has an RPR of more than 80 years. It is impossible to know the precise year for peak oil. Some geologists argue it has already passed, while others maintain that extraction technology will delay peak oil for decades. Many geologists estimate that peak oil might be reached within 20 years. Individuals, industries, and organizations are increasingly concerned with peak oil and environmental consequences of petroleum extraction. Alternatives to oil are being developed in some areas, and governments and organizaions are encouraging citizens to change their habits so we do not rely so heavily on oil. Bioasphalts, for example, are asphalts made from renewable sources such as molasses, sugar, corn, potato starch, or even byproducts of oil processes. Although they provide a non-toxic alternative to bitumen, bioasphalts require huge crop yields, which puts a strain on the agricultural industry. Algae is also a potentially enormous source of energy. Algae oil (so-called “green crude”) can be converted into a biofuel. Algae grows extremely quickly and takes up a fraction of the space used by other biofuel feedstocks. About 38,849 square kilometers (15,000 square miles) of algae—less than half the size of the U.S. state of Maine—would provide enough biofuel to replace all of the U.S.’s petroleum needs. Algae absorbs pollution, releases oxygen, and does not require freshwater. The country of Sweden has made it a priority to drastically reduce its dependence on oil and other fossil fuel energy by 2020. Experts in agriculture, science, industry, forestry, and energy have come together to develop sources of sustainable energy, including geothermal heat pumps, wind farms, wave and solar energy, and domestic biofuel for hybrid vehicles. Changes in society’s habits, such as increasing public transportation and video-conferencing for businesses, are also part of the plan to decrease oil use.